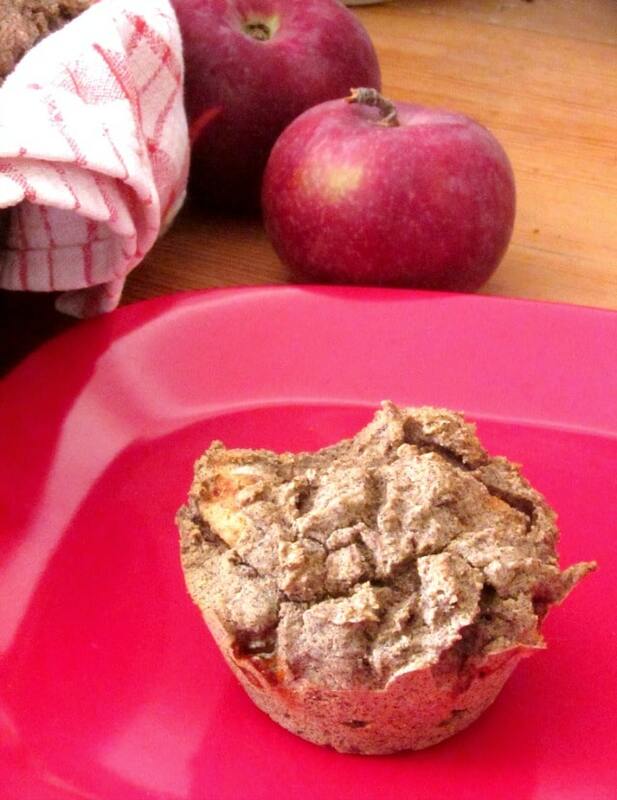 Gluten Free Apple Spice Muffins, hearty with buckwheat flour, are a wonderful way to welcome the first chilly weather! 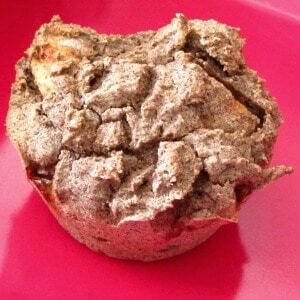 Two years ago, when I was very new to gluten free baking, I posted a recipe for Apple Cinnamon Muffins. I said in that post that I would use muffins to learn about the properties of various gluten free flours and how to use them, and that I was sure my baking would improve. Looking back, both statements have come true – though honestly, that wasn’t a bad muffin… This one is better, though, with a very slight tweak because of my new knowledge, which I will now share with you. Even millet flour can’t be substituted straight for wheat flour… and I don’t like the very bland taste. 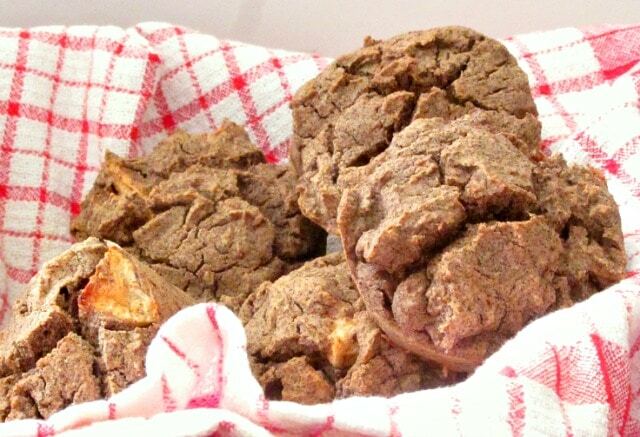 I find sorghum flour balances it well. Better taste, good texture… You can actually use all millet or all sorghum – I’ve done it in a pinch – but it never seems quite right to me, somehow. Then I found buckwheat. First, making traditional buckwheat pancakes, I noticed that the batter was viscous – I’m onto something… but when I tried an all buckwheat muffin it was heavy. In small amounts, though? 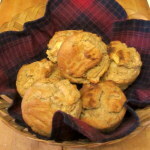 I’ve done a lot – you’ll see it all eventually – with small amounts of white, raw buckwheat flour, as in the Strawberry Muffins last spring (and the same batter used all summer, for other berries and stone fruit!) 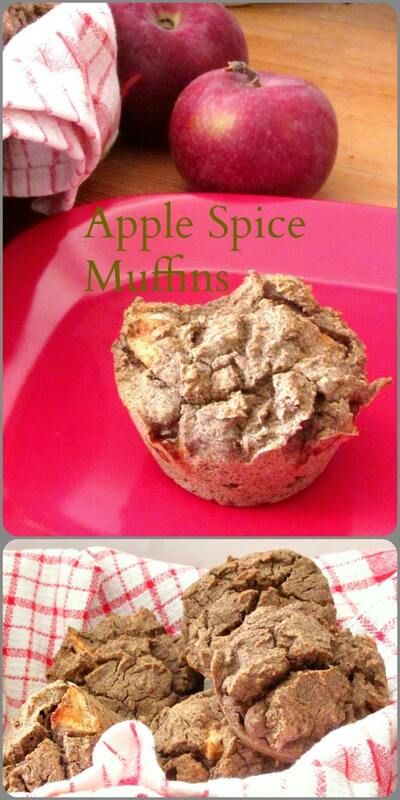 And you can absolutely use that mixture in this recipe – the apple and spice will sing out against the mild muffin. But the season has changed, and I want something heartier, more assertive, with the cool weather. 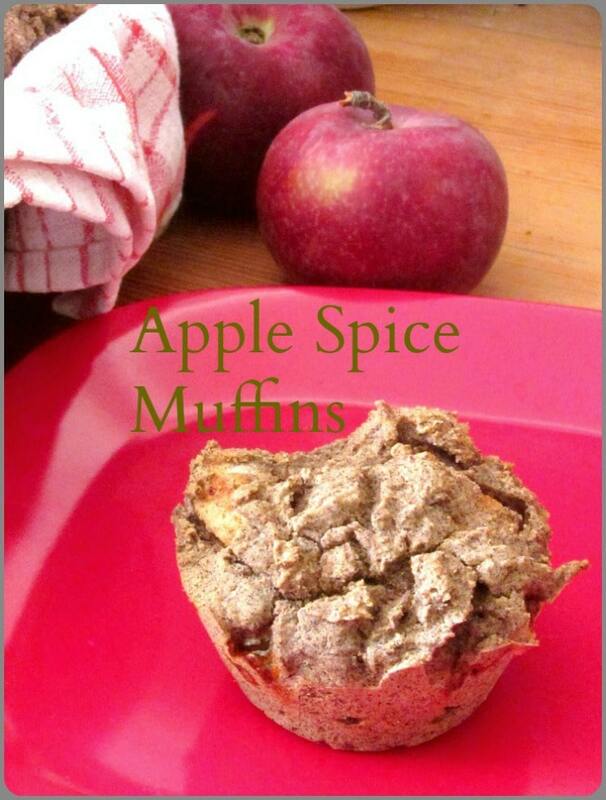 Time to play again with traditional toasted buckwheat flour, and make hearty apple spice muffins! Weigh the flours into a small bowl. 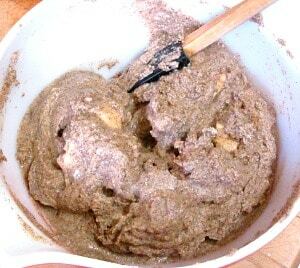 Two parts millet flour, two parts sorghum flour, one part buckwheat, by weight. Then the spice blend. Why yes, these muffins are the reason I needed an Apple Pie Spice Blend... if you haven’t mixed that up, you can just use cinnamon, but this is better, I think. A pinch of salt, and baking powder. (You may note that I use less than I did two years ago. I can, because of the buckwheat.) And if you are new to Inhabited Kitchen, no, I don’t add sugar. A reader asked if I’d forgotten to mention it, and I realized I should let you know. The apple provides enough sweetness for me. Now stir the dry flour/apple mixture into the liquid, and mix well. You’ll notice that it makes a surprisingly sticky, thick batter – almost shaggy. Don’t add more liquid, though you may want to, that just makes the muffins soggy. Fill the muffin tin, and bake at 425° for 25 minutes, or until done. (Do you know how to test that? 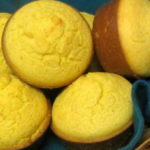 Stick a table knife into a muffin – if it comes out moist, give them a few more minutes, if it comes clean, they’re done.) Let them rest a few minutes when they come out of the oven before trying to remove from the pan – they’re less apt to stick or fall apart. Preheat oven to 425. Grease a six cup muffin tin. Beat the egg, milk, and oil in a mixing bowl, and set aside. 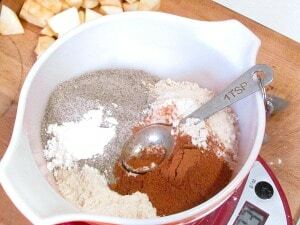 Measure the three flours, the spice blend, baking powder and salt into a small bowl, and mix well. Peel and chop and apple, toss the pieces in the flour mixture to coat. Add dry ingredients to wet ingredients, and mix well, Pour into the greased muffin tin, and bake at 425 for 25 minutes, or until done. Those look quite yummy. I'm going to share them with all my GF peeps! Thanks. I have never used buckwheat flour but I'm intrigued by your description! I'll give these a try for my Mom who, your right only used rice flour for 30 years! Thank you! Partly, I find the varieties of flour interesting, and largely, I know that I'm not the only one who wants to, at least sometimes, use them instead of a pre-blended AP mix. And the more information the better! I wonder if you have a suggestion for those of us who can't eat eggs. 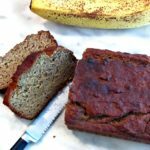 Flax meal and water? This recipe sounds very good. Thank you! Well - I can eat eggs, so have never made these without them. My guess would be that the so-called "flax egg" probably is your best bet. I think the technique is to mix the flax and water so you know the gel is developed and then add that when you would the eggs. But as I said, I've never done it myself. I'd love to hear how it goes for you!